Welcome to Faces of Easter V: Remembering Jesus Healing and Sharing Parables, our lesson for April 7. As we get ready for Easter this week, we remember the work Jesus did as he traveled around, healing people and sharing parables. It’s a great chance to make clear to our children that being with people of all kinds, loving them, healing them of their physical and emotional wounds, and sharing truth through stories was the work that God sent Jesus to do–and still sends Jesus to do today. I look forward to hearing from the children ways that they can be like Jesus: how they can show their love for others, heal people who are hurting, and share God’s truth with others. You may want to share more detail in this week’s lesson than what is written in the script. Because we are retelling all the parts of the Jesus story, sharing every tile that we’ve shared so far during Lent, the writer keeps the script very brief. As for me, I’d rather give very short summaries of the tiles shared in the previous weeks and spend a bigger chunk of time in the circle sharing the healing story and an example of a parable. I’ve fleshed out the script for this purpose with a more detailed telling of Jesus healing the blind man and Jesus telling the Parable of the Friend at Night and will send you my version by email this week. Feel free to use it if you like. If you haven’t yet given each child an opportunity at the end of the circle time to gather something from the Godly Play materials that is related to this week’s story and to share the relation that he/she sees, this week is the perfect opportunity to try it. Even if you also use the wondering questions, it could be an interesting and valuable part of the lesson. If you do, try to have an adult jot down their thoughts and ideas so that we can share them in the newsletter. Since there are no wondering questions listed with the script, I’ll have the ones below ready in your rooms. Thanks so much for taking time to document their responses. Having a peek into their thoughts and ideas is such a gift to the parents–and to the rest of us! 1. I wonder what was your favorite part of today’s story. 2. In the healing part of our story, wonder how the blind man felt and what he thought when Jesus first took him by the hand. 3. Jesus put his spit on the man’s eyes, and the man could see, but not well. Then Jesus put his hands on his eyes again and his sight was perfect. I wonder why it took Jesus two times. I wonder what this might teach us about helping people. 4. We can’t heal people’s eyes by touching them, but I wonder how we can help people with their hurt bodies and hurt feelings. 5. We shared the story Jesus told called the Parable of the Friend at Night. In that story, I wonder who the friend is who has gone to bed. I wonder who you are in the story. I wonder what Jesus wanted us to know about praying. 6. We talked about the fact that Jesus’ work was to come close to people, especially the people no one else wanted to come close to. If Jesus came to do this today, I wonder what kind of people Jesus would want to spend time with. There are many different directions the children can go in responding to this week’s time together. They could focus on retelling the healing story or the parable or both. Or they could extend this lesson by focusing on how we as Christians can participate in the healing of others and in telling truth and sharing God’s message. 1. Children could make 2 dimensional or 3 dimensional representations of the healing story or the parable story through drawing or painting it, making a mural, creating the scene in a diorama, making clay figures to act out the story, etc. 2. Children could work in a group or individually collecting healing stories of Jesus or parables Jesus told. How long a list could they make? 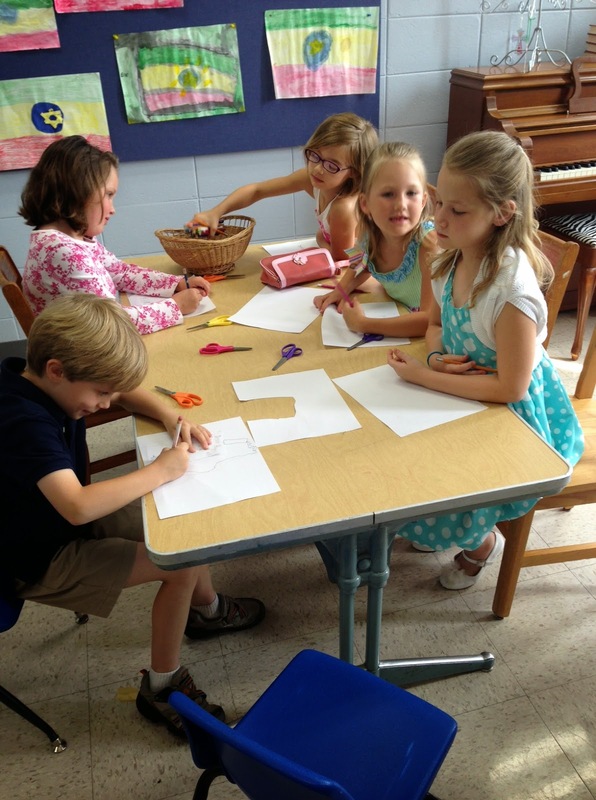 Could you work together, giving groups of kids different gospels to scan, making a list on a piece of butcher paper? Maybe they could illustrate the list with a simple drawing beside each title. The Bibles in our Sunday school rooms have headings of each parable and healing story, making them easy to find. Do all the gospels tell the same stories? This would be good to investigate. 3. Children could be given the option of examining other parable stories in the parable boxes and retelling them to a partner. They might have to look these up in the Bible to make sure they remember the stories. We’d just need to be sure that they’re careful to keep all the materials together and separate from each other. 4. The children could even make a mini-booklet of parables, with one on each page and a simple illustration. 5. Children could make ornaments for our Jesus tree from the different healing and parable stories. How about a set of eyes for this week? Or a door from the parable? Or items from other parables and healing stories. There are some interesting ones here. 6. Children could make cards to help heal those who are sick or lonely. I’d be glad to pass these on to the ministers when they visit. When we’ve done this before we’ve had a great response. Cards really do make a difference!